In May 2017 NASA renamed the spacecraft from the Solar Probe Plus to the Parker Solar Probe in honour of astrophysicist Eugene Parker. The spacecraft will travel into the Sun's atmosphere about four million miles from the star's surface. Washington: If you want your name to travel through the Sun's atmosphere, braving brutal heat and radiation conditions, here comes your chance. NASA is inviting people around the world to submit their names online to be placed on a microchip aboard its historic solar probe launching this summer. "This probe will journey to a region humanity has never explored before," said Thomas Zurbuchen, Associate Administrator for the Science Mission Directorate at NASA Headquarters in Washington. "This mission will answer questions scientists have sought to uncover for more than six decades," Zurbuchen added. The US space agency on Tuesday said it would accept submissions until April 27, 2018. The spacecraft about the size of a small car will travel directly into the Sun's atmosphere about four million miles from the star's surface. 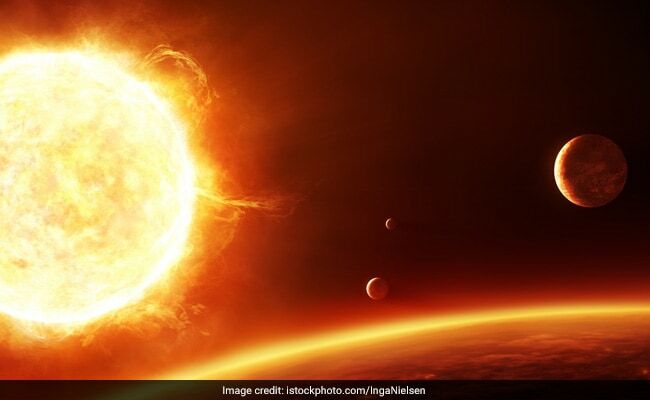 The mission will revolutionise our understanding of the Sun, where changing conditions can spread out into the solar system affecting Earth and other worlds NASA said. The spacecraft speed is so fast at its closest approach it will be going at approximately 430,000 mph. That's fast enough to get from Washington DC to Tokyo in under a minute NASA said. "Parker Solar Probe is, quite literally, the fastest, hottest and to me coolest mission under the Sun," said project scientist Nicola Fox of the Johns Hopkins University Applied Physics Laboratory in Maryland, US. "This incredible spacecraft is going to reveal so much about our star and how it works that we've not been able to understand," she added.